You must make reservations at least 5 minutes in advance of the time at Pendray Inn and Tea House. Complimentary parking behind the Pendray Tea House or street parking. 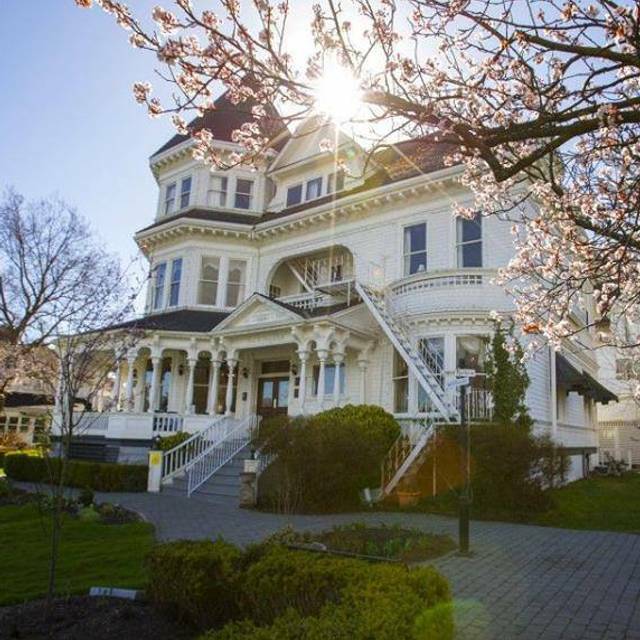 Enjoy a traditional Victorian Afternoon Tea in the Pendray Inn and Tea House (formerly Gatsby Mansion), in a historic dining room with a stunning view of Victoria’s Inner Harbour. We offer a selection of fine teas, as well as elegant tea plates filled with assorted sweets and breads. 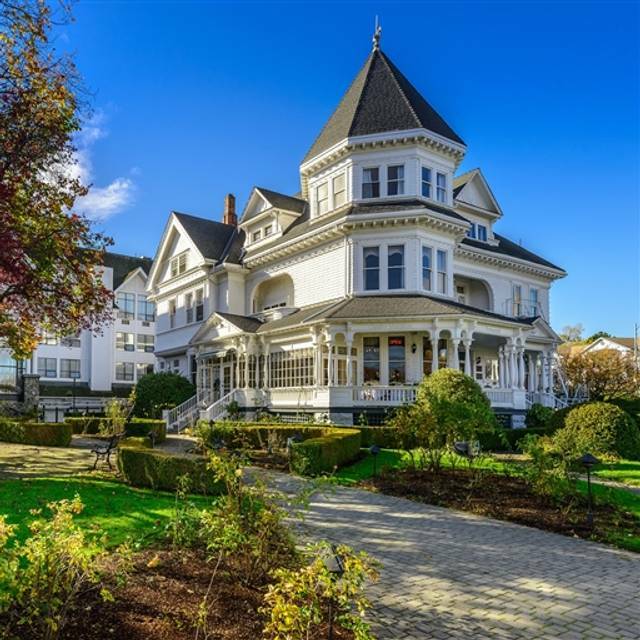 The Pendray Tea House makes for the perfect location for this well-loved British tradition, followed by a stroll along Victoria’s inner harbour. Experience a breakfast like no other! From the outside, this place seems to be a quaint little tea house with little to offer. But walking in, you see the amazing interior design and the welcoming ambiance of the Pendray Inn. During our afternoon tea, we were served by a lovely lady who knew the menu very well and explained every food item there was on our set. My most favourite part was the Earl Grey Scones. We came in late afternoon but the place was quiet and calm. There was no need for us to rush or to hush our voices. 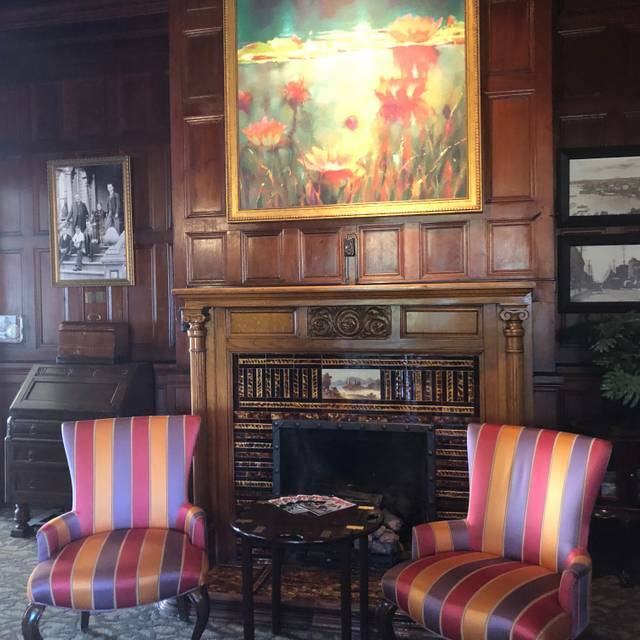 Overall, my experience at the Pendray Inn for afternoon tea was quite extraordinary. I would definitely recommend this place and will surely be back again. Tea service was excellent. For an extra $5, two people may split the full tea service. It was more than enough as a late lunch for the two of us. I brought my sister and brother in law for high tea. We enjoyed it so very much. We had a great table by the front window so we could see the hustle and bustle of everyone else while we enjoyed our quiet tea. Our server was very pleasant and was very helpful. We will definitely go again. 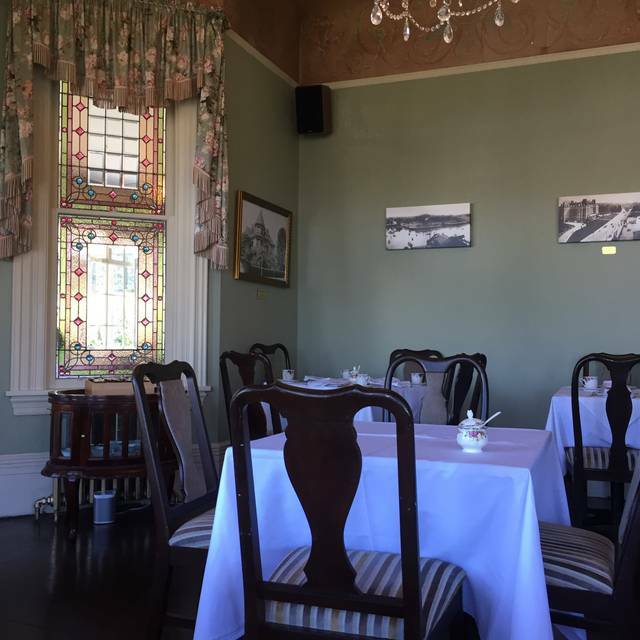 For a slightly less expensive option than The Empress, The Pendray Tea House was good. It was not the best tea I’ve ever had, but the items we had on the West Coast menu were very good. It was a quiet day with only a few other tables occupied. We enjoyed good service although she confused a few order items. Tea was a lovely affair with a tower of sweet and savoury snacks. My partner has gluten and dairy sensitivities and they found some amazing alternatives. Even the scones were delicious. We had the luxury of staying at the B&B for two nights and found their breakfasts to be equally amazing (also served on a tower, and two different breakfasts on two different days.) The chef may just be a mind-reader: she somehow managed to prepare a poached egg for me that was firm and one for my partner that was exactly the variety of runny she enjoys. 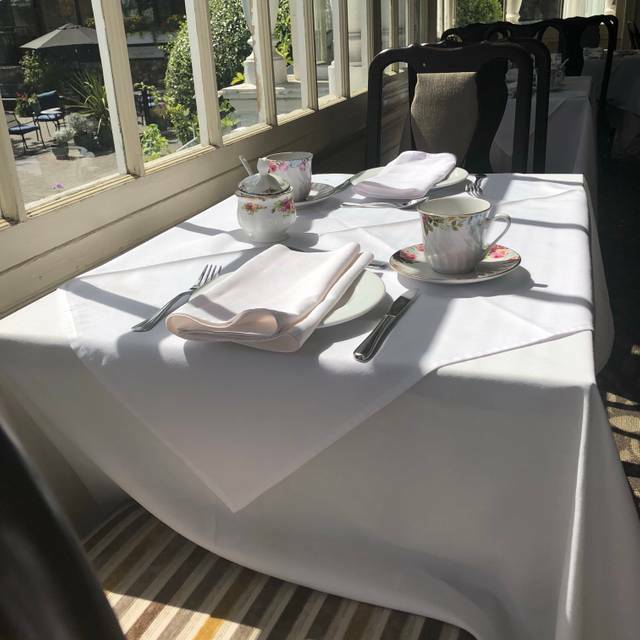 The teas were equally luxuriant; we tried four different kinds and they're well described in their menu to give an exact idea of what you're getting--and there is something for just about everyone. 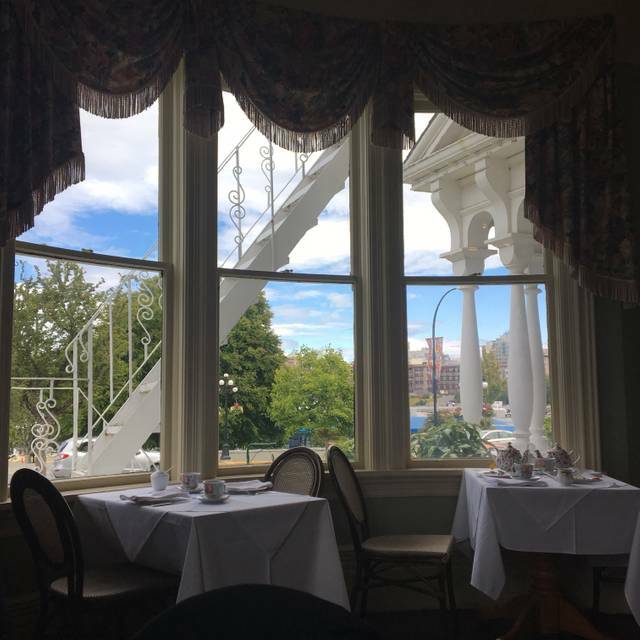 I'd recommend coming here just for tea over the Empress Hotel--slightly cheaper, less people, better ambience--and you don't necessarily need to be fully fancied up to go. A little flair is always appreciated by other tea-goers, but overall the atmosphere was relaxed and genial. I'd definitely recommend the B&B. Great stay, great staff, great food, great location. We were almost the only people there. Very sweet b&b feel. Very nice place. Food was excellent and one of the best tea houses in Victoria. For lovers of traditional tea service Pendray Inn and Tea House delivers! The quality of the food preparations and the selection of teas is superlative. The surroundings are elegant. Food, Service, Ambiance all wonderful Will do it again in a heart beat! This truly is the traditional charm and quaint high tea from our past. The Pendray is like stepping back in time. Take time to look around the different rooms, they are a sight to see as they are very much unaltered. The tea choices are excellent, Geisha Blossom was excellent and I really enjoyed the West Coast Tea with a seafood focus. The lobster bisque is divine! Great service ! The lady was very pleasant and kind ! They had a promotion for the last day and She offered it to us we saved half of the money! Very nice atmosphere, great place to take photos enjoy your afternoon with your BFF. We had a wonderful time. Our party of 3 shared the Westcoast Seafood and GF Winter afternoon teas, the food was delicious. Quality of food was acceptable. Service was very nice. We have had attended high teas often and enjoyed many...Empress Hotel was nice but you’re paying for the experience of dining there. We LOVED Butchart Gardens it was delicious and price was manageable ($75/two). Decided to try Pendray Inn and Tea House which was waaaay overpriced for what one receives. I believe last time we checked, there was a large price increase. Wow! 2 of us $126!! We’re sorry we went... a very nice dinner (minus wine) cost is comparable. That would have been my third time at the Pendray inn and tea house. All times I have thoroughly enjoyed my time there. Although the food could be better, and the prices are quite steep. It’s more of an experience for me when I go. My latest visit was quite lovely, even if the waiter wasn’t the most friendly and helpful. Nice first time afternoon tea at this location. For my friend’s bday surprise celebration they served her a piece of surprise cake! Thank you so much! The sandwich bread was bit dry but over all all taste good I chose west coast afternoon tea. Wonderful atmosphere with amazing hospitality of staff. High Tea was fantastic. Much better than the Empress. Tons of teas to choose from!! Best was Rose de Bain’s. So convenient to the Clipper Terminal. Go! You won’t be disappointed!!! Was a delightful afternoon experience. The lavender scone was the winner. We could have had a whole platter of just that. Was a quaint and relaxed atmosphere. Would recommend. My wife and I went there for traditional tea. They have some nice options like west coast versus traditional and a wide range of teas. The price is much more reasonable than other nearby options. Pedro was very attentive and helpful. The tea and food were very good and the atmosphere was great. We loved the Christmas decorations too. Loved it, will be back. Our waitress was amazing! This was an amazing experience for afternoon tea. The staff were knowledgable, friendly and the food was wonderful. The Earl gray tea scone was delicate, flavorful and everything you expect from an English tea scone. Will be back for sure. The overall experience was disappointing. Overpriced for what was served. Lovely setting with nice quiet background music. Scones served, Earl Grey and Lavender were notable. The 1837 House Tea was excellent. Staff and waitress are welcoming and knowledgeable. Our delightful host welcomed us warmly, was thorough in his explanation of our choices, and charming as he poured our tea. The sandwiches were delicious with a variety of very good fillings, the scones melted in our mouths. The sweets were all we could ask. Everything was fresh and tasty. We never felt rushed and continued to enjoy our tea in this beautiful setting until we were ready to go on our next adventure. Pleasant atmosphere and tasty teas. Scones and tea cakes were the best. Sandwiches were fine. Very nice, old victorian architecture; traditional tea house. Great experience. Very fitting to the town it is in. Comida deliciosa, servicio excelente, personal súper atento y amigable. I used open table to book an afternoon tea for myself and my granddaughter. We ended up staying the night and having breakfast at the inn. Everyone one was wonderful and made this a very special memory for us for years to come. Janus checked us in and made sure our room was perfect. She also assisted with suggesting places and sightseeing events to fill our day. Viktoria greeted us with a smile and was a delight. The staff at the Pendray Inn is awesome and it felt so comfortable being there...like dear friends. This was our second visit to the Pendray for afternoon tea, and again, we had a fabulous time. The setting is beautiful, the service is warm and attentive, and the food and tea options are delightful. We will be back! Tea and desserts were lovely. Service was great! Our only real complaint (but a major issue) was the service. We arrived and stood in the lobby for 15 minutes before anyone came to seat us, despite the fact it was mostly empty. Service was intermittent and sparse. After declining more tea and having our leftovers packed up and brought to us (clearly this is the obvious sign that we are finished), we will sat there being ignored for 20 more minutes and eventually had to get up and find someone to ask for our bill. The rest of it was nice but for not that much more, we may as well have gone to the Empress. Probably would think twice about going here again. It was our first time here and thought it was very nice. Loved the Victorian setting. It was very quiet when we were there so it was nice to visit. Everything tasted good and service was fine. Our waitress really didn’t check on us other than refilling our tea pot. It’s expensive but still worth it. We have been to two other high teas in the area and this one is our favourite. Very quiet, enjoyable afternoon tea with my husband. We ordered Traditional Tea for two persons. The food was excellent, with a pot of tea for each of us. I think it was a bit expensive for what you received, but we were very full and satisfied. Our server, April, was amazing - very helpful and informative, warm and charming, too. Ate here during our cruise stop. Food was good but extremely expensive for amount received. Service and atmosphere was great! Unique experience while in Victoria! 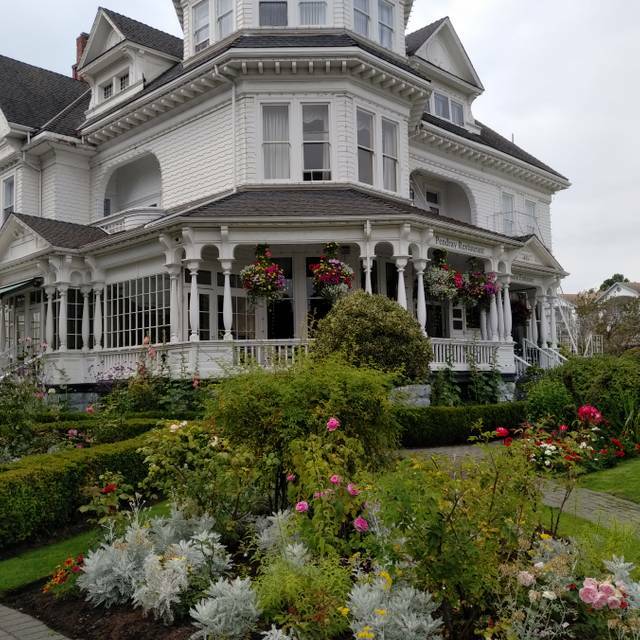 Wonderful afternoon tea in a fantastic old (1880's) home turned bed and breakfast. The food was a great selection of sandwich's and deserts that even the pickiest would enjoy. Plus a large selections of tea. Great food. Great service and great views. We will definitely have tea here the next time we are in Victoria. The Pendray tea house and grounds are lovely. However the afternoon tea experience was shameful! We arrived at a very quiet time with only three tables being served. The supervisor was training two new people but she herself was not well trained in serving. My husband was served his scones, then soup and sandwich plate ( in that order 🤭) while I waited for my “traditional tea”. After 10 minutes I had to look for someone to please bring me my food and tea. We were very disappointed with the stale sandwiches and the cakes. Fortunately the scones and jam were good! The presentation of food was not acceptable for the price! It is a true shame that this place has the potential to be good. Beautiful setting and location but it ends there! I would not recommend the Pendray to anyone at this point in time. They really need to improve staff training and quality of food and details in presentation! The concierge was so lovely with our 7 year old daughter. Made us feel very welcome. Building is stunning so are the gardens. Food was excellent and staff very accommodating. Thank you for a splendid afternoon tea to celebrate our family day together. Excellent service, traditional fare was outstanding and plentiful. Great value for money. 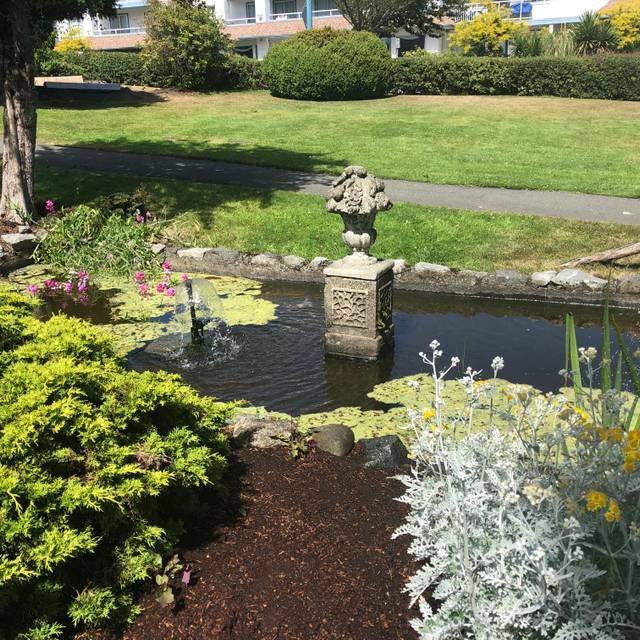 Beautiful setting, great selection of wonderful teas, flexible options for tailoring food preferences to personal taste and a patient, knowledgeable, friendly staff. 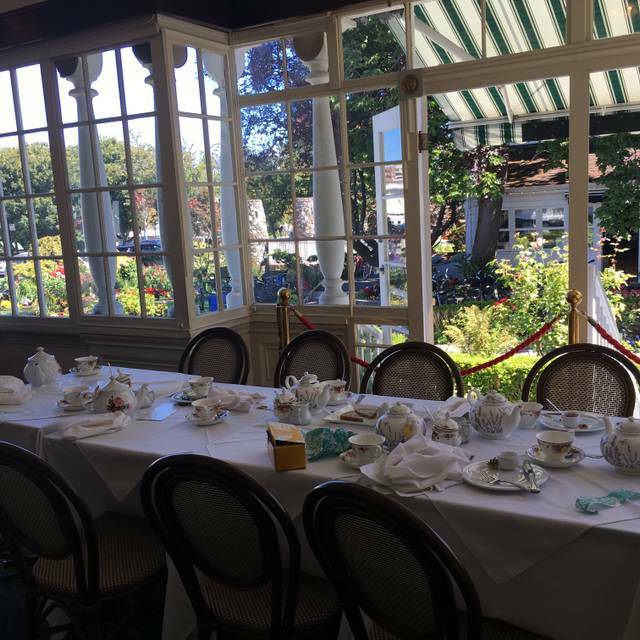 All in all, we had a great experience and would highly recommend it to anyone seeking the "traditional Victorian Afternoon Tea" experience in Victoria. Sandwiches were perfect and classic, sweet and scones were poorly made. Was served tea with the bags still in pot. Should have been removed before service or ramekins provided to remove tea bags. Was not particularly impressive and was out shone by other afternoon tea options. Salmon pinwheel was perfection though.